One of my enthusiastic clients recommended me, and you'd like more information about me. You've seen my name on a sign or advertisement, and you're curious to learn more. You saw me on Yelp or Facebook and this prompted you to conduct a little more research. Thank you for being here! This site is intended as a basic introduction — a place to learn about me, my services, and offer a cursory introduction to the real estate process. In addition to the information on the About page, please take a moment to read through some client testimonials and check me out on Yelp to learn more about my business style and high level of service. No site, however comprehensive, can replace an in-person connection. If you are a potential buyer, I invite you to contact me to schedule a no-obligation homebuyer’s meeting. I will connect with you at your convenience and educate you about the home-buying process, issues to be aware of as a buyer, and how the Purchase and Sale Agreement works. If you are considering selling your home or condo, please schedule a no-pressure visit with me to discuss the current value of your property, home improvements to consider before selling, and how the process works if you decide to sell. The Seattle housing market is robust, and now is great time to list your home! 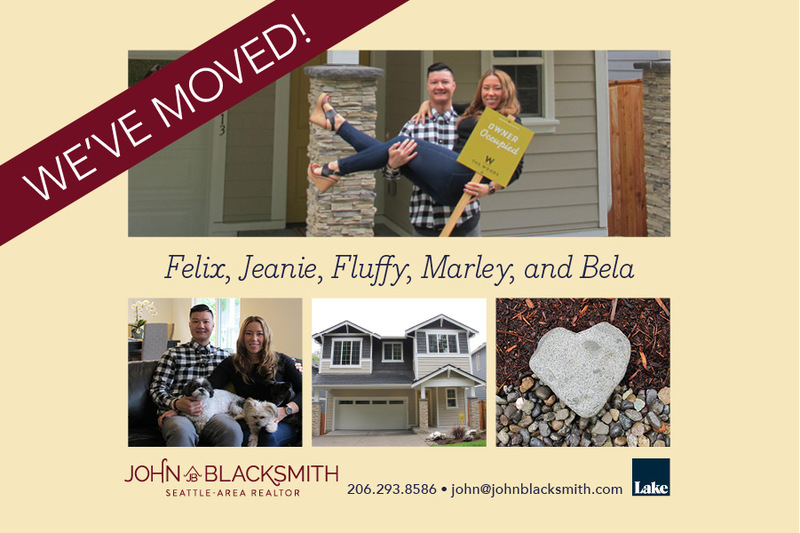 John Blacksmith, Realtor and five-time winner of Seattle Magazine's "Best in Client Satisfaction." Read testimonials, explore listings, and connect with me when you're ready to make your real estate dreams a reality! I am happy to meet you! Educating potential buyers and sellers about the real estate process is my honor and my pleasure. I’m happy to answer questions and, ideally, schedule a no-obligaton meeting to see if we are a great fit to work together. Please connect with me via phone or email to arrange a time that is best for you! Lake & Co. Real Estate, Inc.
One of the Seattle-area’s most productive & highly rated Realtors since 1998!